Detroit’s Fox 2 television station reports that a local emergency nurse has developed a successful protocol to identify victims of human trafficking. And a New Yorker piece highlights an oncology nurse’s tenacious efforts to counter anti-vaccine disinformation within her ultra-Orthodox Jewish community. January 25, 2019 – Over the last couple days, news items from very different sources have highlighted impressive work by nursing innovators to protect vulnerable populations. On January 23, the Fox television network’s Detroit affiliate Fox 2 ran a short article telling how a local emergency nurse had developed a “protocol of screening and assessment tools” to flag potential victims of human trafficking. The piece relies mainly on comment from Henry Ford Hospital nurse Danielle Jordan Bastien. 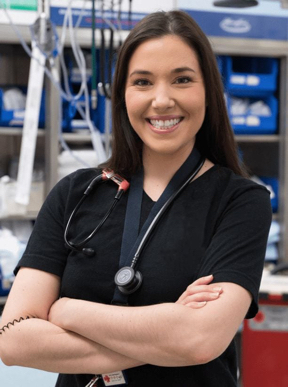 She explains that her protocol involves formal training as well as a set of assessments by the triage nurse and, if appropriate, the primary nurse. Bastien says the protocol has already identified 17 victims. The piece might have sought further comment from nursing leaders who specialize in care for such vulnerable groups. It might also have noted the Bastien developed the protocol in earning her doctorate of nursing practice (DNP). And today, The New Yorker ran a longer “As Told To” feature by Amanda Schaffer about a Brooklyn oncology nurse who has mounted an extensive campaign to allay vaccination fears in her own ultra-Orthodox Jewish community. Schaffer explains that a growing belief in false claims, such as that vaccines cause autism, has fueled a measles outbreak in such communities. But most of the piece is commentary from nurse Blima Marcus. 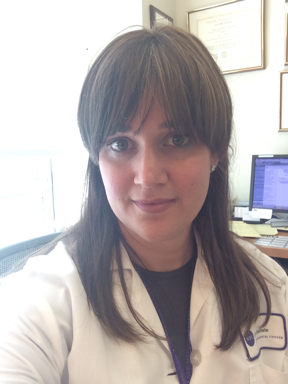 She describes her work in informal small group sessions to persuade ultra-Orthodox women that vaccines are safe, relying heavily on the relevant research. Marcus explains her rigorous but culturally sensitive approach. Her “closing argument” is the communal framework of Judaism itself, and the potential for harm to vulnerable children who can’t be vaccinated because of conditions like leukemia, so they rely on herd immunity to survive. The item might have provided more detail on Marcus, who is a doctorally-prepared nurse at Memorial Sloan Kettering Cancer Center and an adjunct professor at Hunter College. We thank The New Yorker and Fox 2 Detroit for pieces that show nurses taking the initiative to advocate inventively and effectively for those who cannot do so themselves. It is a multiple step process and it involves mostly nurses. What happens is, as soon as you make contact to our area you go through triage. Based on the education the nurses have, and also the physicians, and they are triaging this patient and they say, you know what, something doesn’t seem right, I am going to flag them. … A lot of the things we look for is an inconsistent story. If there is abuse, torture or neglect signs with that person; if they aren’t holding their own ID or money. If the person with them is refusing to leave while they answer or [is] answering questions for them. The report says that Bastien’s program has “saved 17 victims” in the last year and she hopes other hospitals will adopt it. The piece closes with contact information for the National Human Trafficking Hotline. This short report packs in a lot about Bastien’s protocol and how it works. In particular, it’s helpful to hear that ED nurses are the main players, which might surprise an audience accustomed to television shows in which physicians are the dominant patient contacts. Also useful are the specifics about what the nurses look for in assessing patients, which seem to reflect real understanding of the problem and how people behave. The piece might have consulted a nursing leader who studies issues related to trafficking and sexual abuse. And it might have included a little more about Bastien’s own educational background and nursing credentials; in fact, she did this work while getting her DNP. But on balance it’s a great look at a striking nursing innovation with the potential to save many lives. I piled them up in front of me and I said, ‘These studies prove that there’s no connection between autism and the vaccines, and this pile proves that the flu shot actually works, and this pile proves that heavy metals have nothing to do with autism.’ I passed around index cards for e-mail addresses, and when I got home I sent out, like, forty studies to people. Marcus learned that the women wanted “the paperwork,” so she trained them to evaluate the studies on factors like sample size, disclosures about who funded the study, and which authorities were taking it seriously. She suggests Google Scholar, which is “not going to send you to healthnutjob.com.” Marcus discusses the challenges in changing minds, particularly when some in the community believe “that everyone is out to get them, that everyone wants to make money off of them.” Evidently, her audience has a very jaded view of health care systems, including pediatricians, as well as suspicion of government, which anti-vaccine propagandists exploit. Other issues include “multigenerational trauma” related to the Holocaust and other family experiences in eastern Europe. Marcus also notes that ultra-Orthodox families average about eight children, so they see more of many types of conditions, including autism, that may now be more commonly diagnosed, and the challenge is to persuade them that the cause is not vaccines. But my closing argument to them is about community. The framework for orthodox Judaism… is communal. Prayers require a minimum of ten people. We live in close quarters with extended family. So we should consider ourselves especially obligated to prevent harm to our fellow community members. I go through some statistics on immune-compromised children and the number of children who die of infectious disease and have comorbidities like cancer or autoimmune disorders, which make them especially likely to catch and not be able to fight these diseases. And that’s the hardest pill for people to swallow, even the fiercest anti-vaxxers. Because no one wants to think of a seven-year-old with leukemia dying of the chicken pox. This is a great presentation of nursing. Marcus comes off as a health expert, a community leader, an authentic person, and a strong but savvy advocate. And although the piece does not says so directly, Marcus seems to have no problem reconciling her own faith with the science she presents to the mothers. The New Yorker might have explained that Marcus is actually a doctorally-prepared oncology nurse practitioner (DNP) at the highly-regarded Memorial Sloan Kettering Cancer Center, as well as an assistant adjunct professor of nursing at Hunter College. That might have added even more to her credibility with readers—particularly since it appears that Marcus has herself been the target of disinformation campaigns, as part of an ultra-Orthodox vaccine “war” that has become news as far away as Israel. A November 2018 Haaretz article on that war also has some good quotes from Marcus. We thank Marcus for providing a public example of the nurse as a strong and expert modern health advocate. As a Jew myself I find it hard to reconcile not giving children immunizations as relating to my faith. As Marcus says we are responsible to prevent harm to others, not just those of our faith & community. I think this lady did a tremendous job presenting the facts about immunizations.